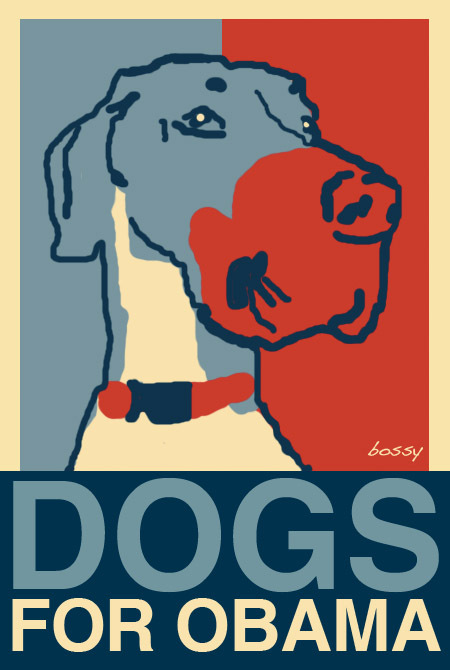 I voted for Bossy’s Dane as my write in candidate. Unable to help myself after seeing this picture. Put it on my FB too. Give Stella a hug from us. Love the great dane, but some will miss the great hiney. I have a, “I Bark for Barak” magnet on my car. LOVE this too!